The brilliant new work from the bestselling author of 'Miss Garnet's Angel' and 'The Other Side of You'. Violet Hetherington has taken the rash step of joining a transatlantic cruise ship to New York to visit Edwin, an old friend. As she makes the six day crossing, she relives the traumatic events that led to her losing Edwin's friendship, and abandoning her career as a poet, for the safety of marriage and domesticity. Despite her natural reserve, she meets a rich variety of passengers travelling with her, who affect her understanding of her own past. Most significantly, she meets Dino, the dance host, whose motives in befriending Vi are shady, but who teaches her to ballroom dance - and inadvertently helps her to recover from her past. 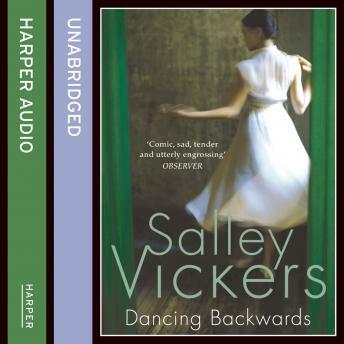 Moving between the late sixties and the present day, Dancing Backwards is written with the lightness of touch and psychological insight which characterise Salley Vickers' acclaimed work. This bittersweet novel is subtle, poignant and wonderfully entertaining.